In my infinite wisdom I’ve decided to take some resin fabric pendants along to the Fat Quarterly Retreat Quilt Market. 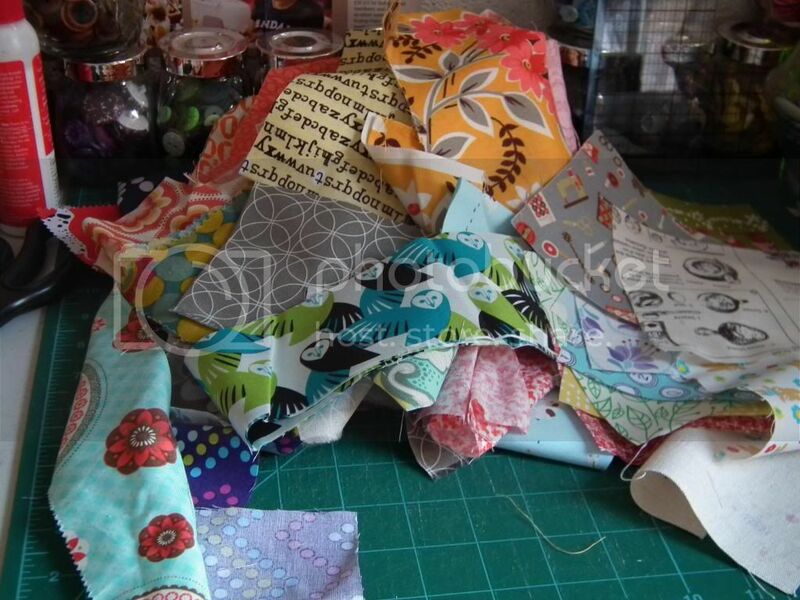 These will include those I’ve had made up but never sold and also some new ones using the retreat’s clientele’s favourite fabric lines such as Summersville, some Tula Pink, Pezzy Print, Julia Rothman Type, some Japanese prints, that kind of thing… This is my working bundle. I aim to make and take around 50 with a choice of cord or chain necklace to put them on and sell them for £10 each (a bit cheaper than they used to sell for so I don’t think it’s too unreasonable). I seem to remember having resin left over so hopefully it will still be clear, useable and plentiful. I won’t be doing any bangles or complicated things, or anything that requires excessive sanding and buffing and fume and dust inhalation. Once this lot has been worked with I’ll show you the finished pendants and my blog readers will get priority to reserve the ones they like for picking up at the retreat, or I can post them to those not going. Because my readers are the bestest. oh – excited to see what you make! Looks like you busted a few out in my absence!